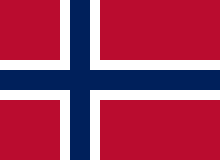 Norway is competing at the 2013 World Championships in Athletics in Moscow, Russia, from 10–18 August 2013. A team of 11 athletes was announced to represent the country in the event. This page was last edited on 3 August 2017, at 12:28 (UTC).